To someone who owns a piece of antique furniture, it most likely means more to them than a traditional piece of furniture. Antiques are commonly passed along generation to generation in a family and contain a rich history. If you are moving soon, making renovations or remodeling your home, you may be in a situation where you need to store your antique furniture. Safely store your antique furniture using these tips! Disassemble all Removable Pieces: Before storing your antique furniture, disassemble any removable pieces. This is extremely important with long-term storage. Antique furniture is often weaker than normal furniture and overtime, the weight of heavy pieces can cause lower pieces to collapse. Do not Stack Your Furniture: As stated in the previous tip, antique furniture is normally far weaker than normal furniture. While it may seem like a smart space-saving solution, stacking antique furniture on top of other furniture can result in the furniture falling or getting crushed under the weight. Don’t Go Overboard on the Plastic Wrap: Plastic wrap is a good solution to protect furniture from damage caused by dust settling on it. It is important to use plastic wrap sparingly though, as it can prevent furniture from breathing. If moisture gets trapped inside of the plastic wrap, it can result in the formation of mold or mildew on the furniture. Spray a Protectant: Leather and wooden furniture should be sprayed with a protectant to keep it from drying out during storage. Wooden furniture should be sprayed with an antique furniture polish and leather furniture with a leather conditioner. This should be done regardless of how long you plan to store your antique furniture. 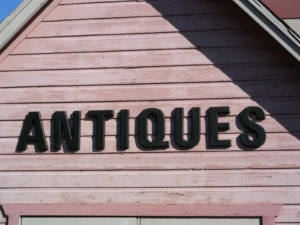 Store Your Antique Items in a Location Safe from Fluctuations in Temperature: When storing items as sensitive as antique furniture, it is extremely important to store them in a location free from fluctuations in temperature. Over time, fluctuations in temperature can cause wooden or leather furniture to crack or become warped. Are You Looking for a Place to Store Antique Furniture? If you’re looking for a location to store your antique furniture, consider utilizing a storage unit. A storage unit is also a smart way to keep your antique furniture out of the way during home renovations, a move or remodeling. When choosing a storage facility, choose one that has a climate controlled storage option. No matter what the temperature is like outside of the storage unit, a climate controlled storage unit will keep your unit within a range of temperatures that is safe for sensitive items. Storage World has three locations throughout Georgia, perfect for storing your antique furniture. Our storage facilities are monitored 24/7 and well lit, so you can rest assured that when you rent with Storage World, you’re renting with the best. Do you have questions regarding a storage rental? Contact us today!